One Direction heart throb Harry Styles is said to have invited Mark Wahlberg to see his band in concert after the Ted star joked he wanted to punch the singer "in the nose". 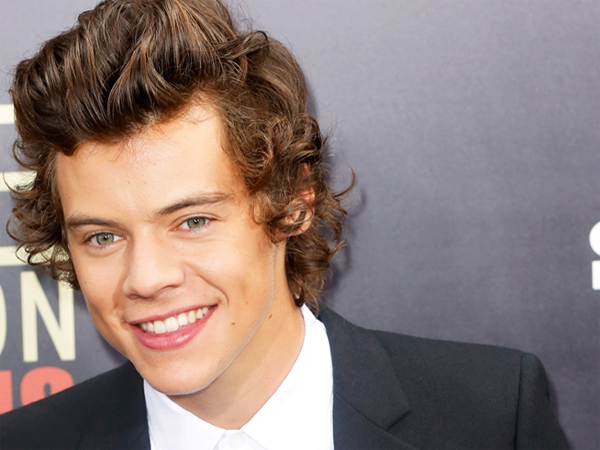 Harry Styles has invited Mark Wahlberg to a One Direction concert. The Story of My Life hitmaker is said to have reached out despite the actor recently joking he wanted to punch him in the face because of his daughters' obsession with the band. An insider told the Daily Star Sunday newspaper, "Harry saw the clip of Mark threatening to beat him up online and thought what he said was very funny. He is a big fan of his movies so he wanted to say that he appreciated his humour. He told his US team to contact Mark and offer him and his family the full VIP treatment." The Ted star had opened up about how much his daughters love the group, joking they have replaced him. He recently said, "The girls have turned to One Direction and they don't care about Daddy. "My four-year-old's going, 'Daddy, I like Harry'. And I'm like, 'Well I'm gonna punch Harry in the nose when I see him. She pulls out pictures of him and she is hiding pictures in the room and I pretend I'm ripping them up and I get jealous. But if I see that little p***k, he's gonna get it."